Cover of Charlie Hebdo, newspaper in France. 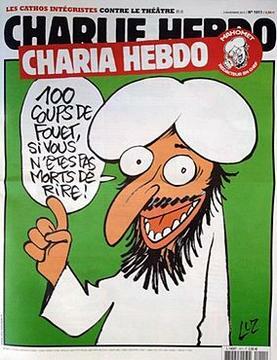 Speech bubble reads "100 lashes if you don't die of laughter!" I am calling the mainstream media out as cowards. Giving these animals what they want isn't the way to deter them.